Lots of transfer activity, as I try to add quality and depth for minimal cost. You'll notice that the main man Malcom stayed. 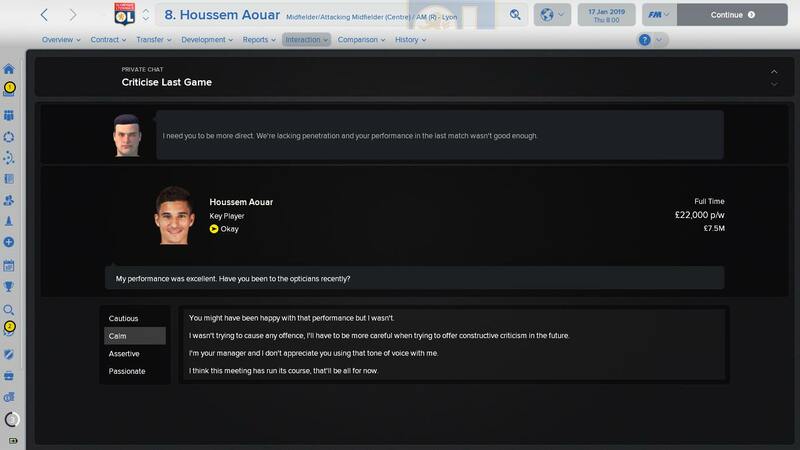 He asked to leave and I became more accepting that he would go but there were no takers at his value (48m), just a couple of teams with loan interest. I've been using him as a super sub as I don't trust him at such low morale. Otavio and V.Jovanovic are the only outs that I wanted to keep, but both asked for new contracts and were upset not to get them. Most signings are self-explanatory, with perhaps the exception of of Montero. I don't normally purchase 30yos but Sporting let him go for market value and he has the beats offside trap PPM. 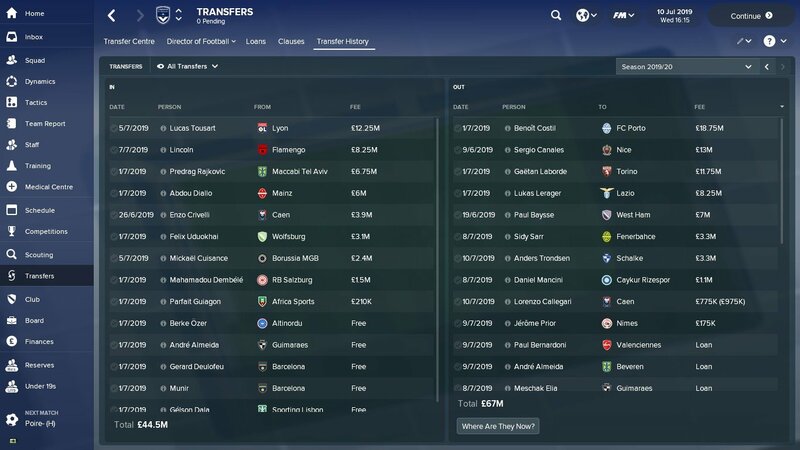 I missed out on Maresic (picked Man Utd) and Ndombele (Lyon didn't take up their option to buy, and Amiens priced me out of the move by jacking up the price so he went to Milan). There were a few others that would have been great additions if I had the money. With Rolan, D.Jovanovic, N'Doram, Skhiri the other first teamers. 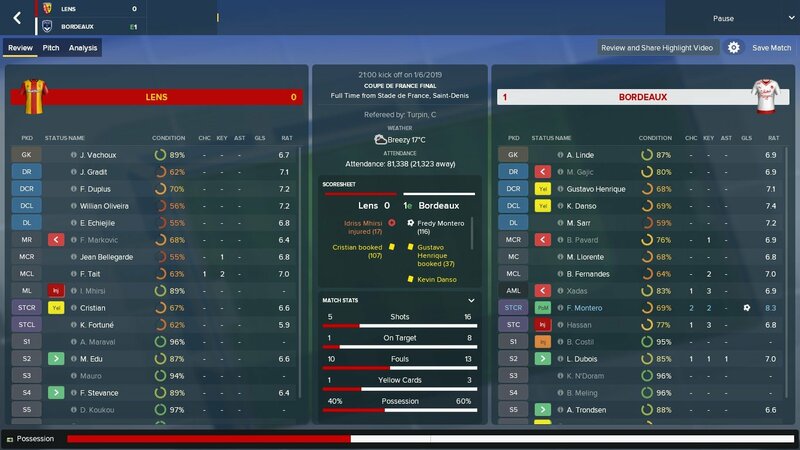 Only played two league games so far, a 3-0 win over newly promoted Auxerre and a 2-2 draw vs Monaco, where I scored both my goals after Danso's two yellows left me a man down. Champions league group looks tough (I was the 4 seed so to be expected I guess): Bayern, Napoli, Club Brugge, Bordeaux. Lost both league games 1st season vs Lyon 4-3, to late winners from Traore (one was a 89 and the other was a 90+4). 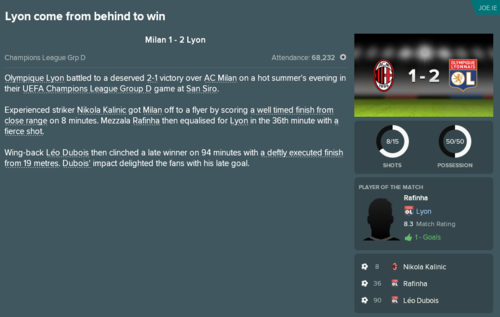 It was looking comfortable until Skhiri picked up 2 yellows in 34 minutes...then Lyon came back from a 1-3 deficit to lead 4-3 and I thought history was repeating itself. Enter Malcom, who finally learnt the beats offside trap PPM, with a late equaliser followed up with an even later winner! Wow great season there mate! Your strikers scoring record is incredible. I was also managing PSG and got the septuple - feels crazy! Great looking squad there, keep it up. Are you conceding a lot with that tactical setup? 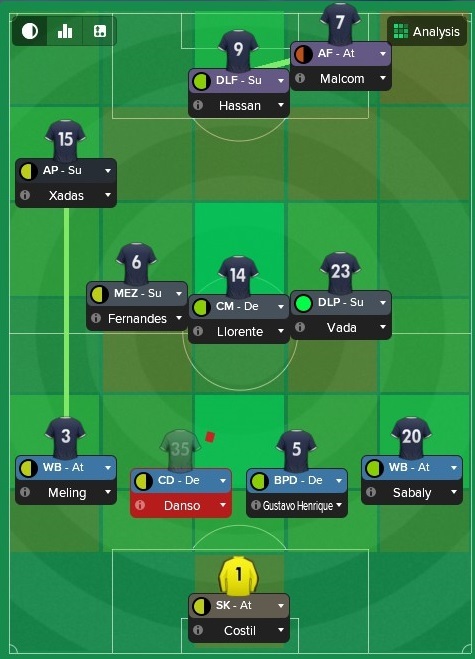 I've contemplated going with a hybrid back-three / back-four in order to push an extra player in attack, but I am not sure if I will completely jeopardise my very solid defense if I do so. 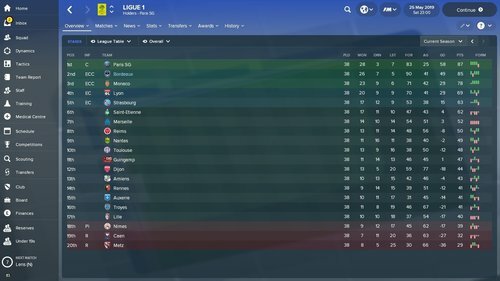 So, I've just completed on of the most fulfilling and fun seasons of my FM career. I was crowned as champions of Ligue 1 with three matchdays remaining, and the team performed very well all along. In the Champions League we were drawn in a group with Liverpool, Juventus, and Real Madrid. 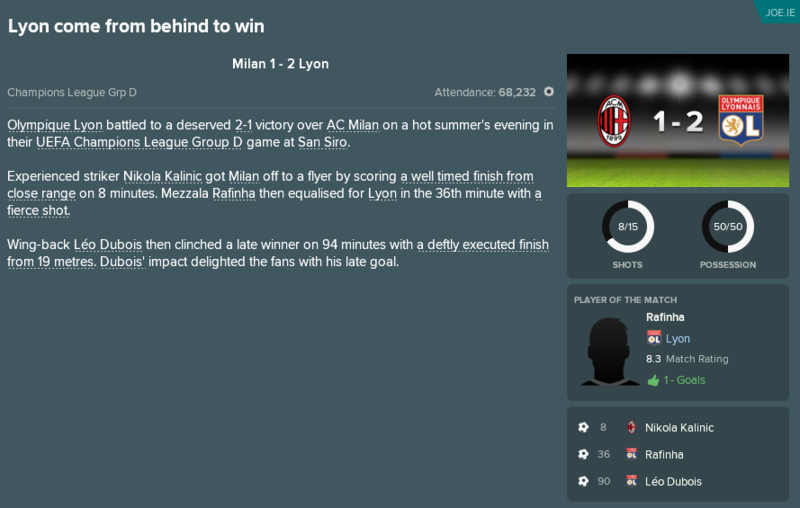 That couldn't have been much harder, but we ended up in 3rd place (Real Madrid was 4th), and so went on to star in the Europa League where we lost the Final to Chelsea. 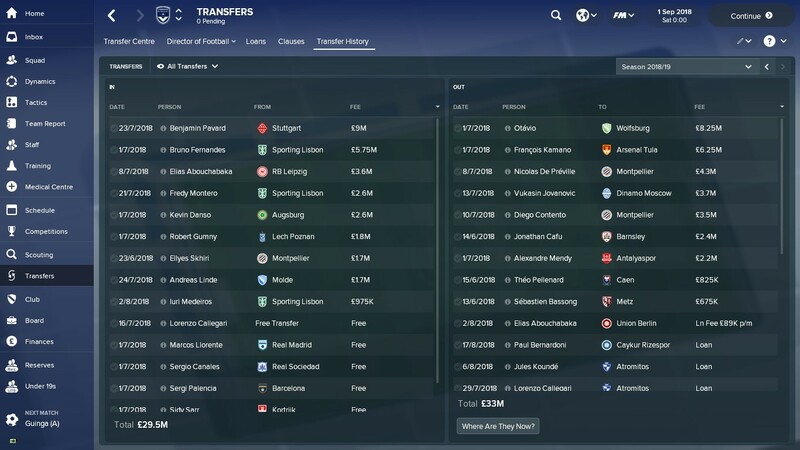 For the new season I have spent a fortune of €51M on Rodrygo (€18,25M) from Botafogo, Andrei Ivan (€12,5M) from Krasnodar, and Malang Sarr (€20M) of Nice. My only really big sale was Diafra Sakho who I let go to Swansea (€16,5M). I had no golden generation come through the youth ranks this year, but both Francois-Henri Delporte and Obinna Egbo are pushing for playing time in the best eleven the coming season, where my aim will by to defend the Ligue 1 title and advance from the group stage of the Champions League. Yep, a lot. Obviously the hope is that I score even more than I concede. It's highly entertaining but also heart attack inducing. Judging by that incredible Rennes season, I would stick to what you're doing! Congrats on the title. The 2 16yos look insane too. They have been remarkably poor both seasons, even though they won the league the first year, they "only" obtained 86 points, and for a long time they weren't even in the top 5. Same goes for last year. This season they have started with 7 points from three games, but only three goals scored! I thought so. When I have changed my defensive setup, the goals have rained in as well. So I might keep it. I am already giving Egbo first team football, and Delporte has been coming on from the bench as much as possible. But he is pushing for a starting place! Have decided to start my Saint Etienne save. 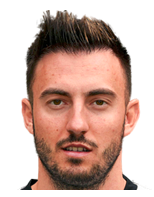 Using Jan update so have the likes of Yann M'Villa and Matthieu Debuchy in my ranks . Current Expectations for the team is to finish in the Top half of Ligue 1 with the team available to me I think that is well doable. 5. Long term goal try to win title number 11, before Marseille, PSG, Monaco overtake the 10 titles, Saint-Etienne current have. I haven't heard a chance to fully assess the squad yet so when I've settled my tactics I'll update. 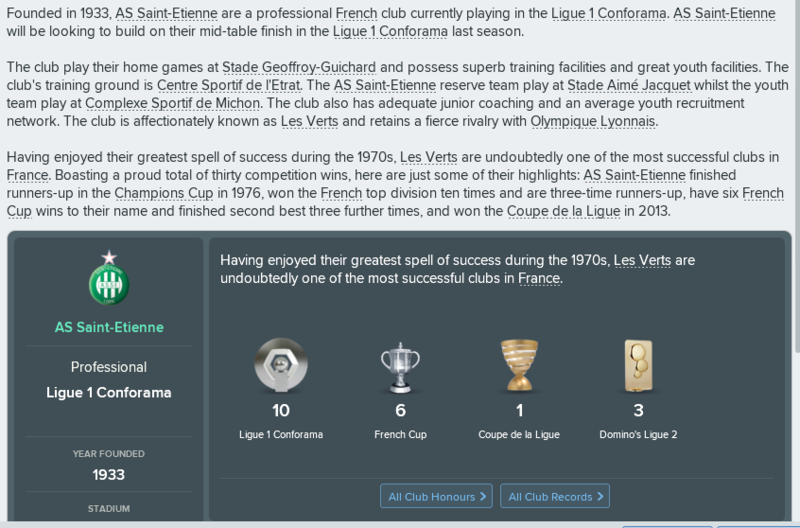 I've played two seasons with Lyon, finishing third twice. 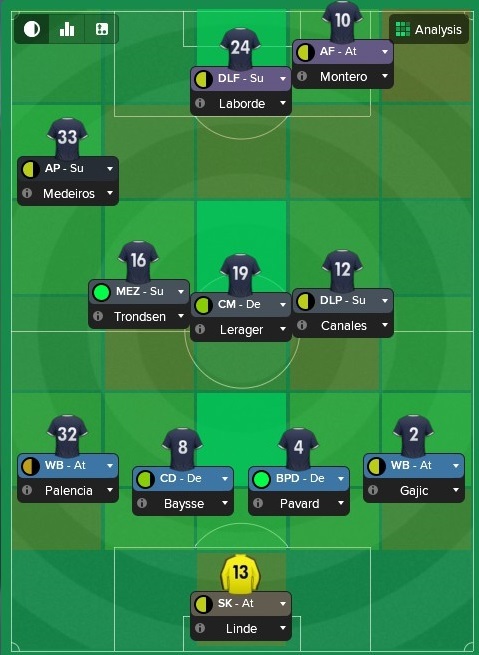 Obviously PSG and Monaco just have better squads and more money - but just to make it harder, I'm having a French only squad. So that means selling Depay, Mariano, etc. I always like the young, home-grown squads for taking on the big guns. It worked with my Bilbao save. 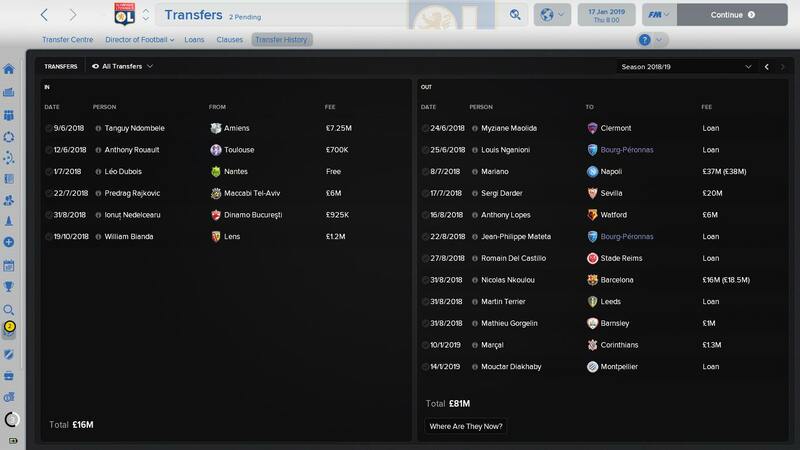 Favourite transfer was signing Kurzawa for 15m from PSG then selling him to Monaco for 40m a season later. 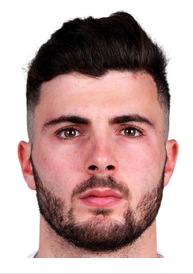 Getting Leo Dubois from Nantes on a free and selling him to Inter for 16m in the next window. I've picked up Ndombele, Nardi, Cardona, Blas, Ntcham, Boubacar Kamara, Issa Diop and generally sold on guys who're ageing like Ferri and Yanga-Mbiwa. My main issue is with the French youth prospects. They are impossible to sign. The fees asked for were crazy - 50 or 100m from the likes of St Etienne or whoever. As much as they probably don't want to sell to us, would they really turn down 10m for a 16yo who's never played a first team game? I don't ever expect to surpass one of the big guns, but I can live in hope. Building a French squad that can stay together for five seasons or so is the goal here. "If Willem thinks he can have a better career in Monaco than Lyon... Monaco bought Pietro Pellegri for €25m. We will not make gifts. In any case, we try to have people with ethics. My biggest regret is never to have seen Willem alone, I'll talk to him about it directly. It is the end of his contract in 2019. If Monaco makes an offer of €70m we will be disappointed because we believe [in Geubbels] a lot. We are reassured by his valuation." @Evanescent Did you have offers for Malcom? I have just about given up on my Rennes save, but I will continue to lurk on here. Nope. This was the second time he wanted to leave but first time he took his complaints public. Once you take it public, I look to get rid. So this time I listed him and offered him out for market value but no bids were made. Bayern retained a loan interest for a while, even after the window shut, but it's faded away too. I was planning for his departure and had picked out Sebastian Driussi and Lautaro Martinez as my top targets. I am happier that he stays as he was the main attraction to managing Bordeaux in the first place. Took advantage of his change of heart and have extended his contract from 2021 to 2023. A shame re: Rennes, was enjoying seeing the exceptional progress. I find it very fulfilling when my players want to leave and there is no one to buy them! Ha! Spitting image! That is actually really nice! How come you didn't like Saint-Etienne? Not sure tbh, I just wasn't feeling them. 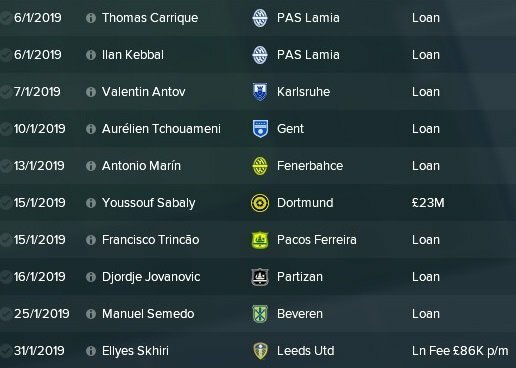 They have some good players but the budget is horrible (especially Jan update) they only have two cbs and 1 striker and no real budget to improve on that. Yeah you usually have to wait 6 months or so for him for some reason. I've got Phil assistant manager at Real Sociedad currently, Giggs isn't good enough though. Paul Scholes was OP on previous versions as a shooting coach. Yeah Giggs isn't the best more have him there for nostalgia. Thinking of bringing Paul Ince too. Just about to start Ligue 1 with Marseille. With 65 French Caps to his name, Sagna was initially signed as backup but due to outgoings is now first choice signed a contract to 2020 at 34 he may not see it out but he has done well in pre-season and the Europa League Qualifiers. 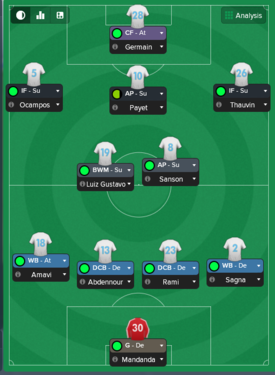 Needed cover for right wing for Thauvin, he was available, it was between him and Luciano Narsingh but opted for the Serb as he was more highly rated by my scouts. Shall see how he performs through the season if I want to make permanent on not. Was rotting in the Lyon reserves and was transfer listed. if he stays fit then he is a steal at that price only 26 will provide some backup in the midfield and to Payet in the hole behind the striker. My big money signing you could say for 5.5m was transfer listed for 8m by PSV I managed to bring it down to 5.5m. At 25 he has youth on his side and compared to my other center backs Rami and Abdennour actually has some pace. I have a realistic shot at winning the league and I'm terrified...this is not the position I expected. Monaco were leading for the majority of the season but have lost the plot in recent games. I beat them 4-2 away from home and they have followed up with a couple of draws. The main difference between this season so far and last season's 3rd place (80 pts, 24-8-6, 95GF, 57GA) is the defensive improvement. Baysse has been moved to the bench and the Henrique-Danso central defence partnership has flourished. Danso's jumping and strength has been huge in dealing with crosses. The only other change has been changing the team mentality to help preserve leads (and occasionally changing the roles of the full backs). Really happy to get out of the group stage. Surprised to beat Napoli both games but not surprised that Bayern demolished me both games. 1st Knockout Rd is vs Atletico Madrid, not expecting to get past them but will play my best lineup and hope for the best. Used my Joker on Sarr from relegated Nice. Was targeting him in the summer but asking price never dropped. Had injuries to both my left backs so in the end, I ended up paying the amount Nice wanted in the summer. Aim is to use him exclusively at LB, rotating with Meling...the lack of jumping puts me off from playing him CB. Marin, Trincao and Antov are all talents that were sent out of loan. Dubois played one league game for Lyon after his free transfer from Nantes and was value on the transfer list. I needed a RB after I sold my starting RB for big money (see below). Leiva was a deadline day buy...gives me a different option at AML (quicker than Xadas/Medeiros/Canales, who are basically all the same player). So Sabaly was my best performer in terms of MotM (5) and average rating (7.76) but could only muster 2 assists in 14 starts (compared to 13 in 31 last season). 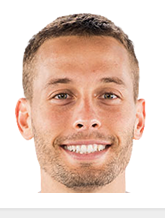 His backup Gajic has the most assists in the team at the moment (9 in 14 starts overall, 8 in 8 starts in the league). Sabaly's value was always around the 12-14m mark and a few teams were interested. I set a 20m asking price. Sometime around late Dec/early Jan I noticed that his value had jumped to 23m and that Dortmund retained an interest. Once I saw a decent French replacement in Debois was on the transfer list for peanuts, I offered Sabaly out and Dortmund came in. The Sabaly money has funded end of season upgrades to data, youth and training facilities. Super close to getting Red Star sequential promotions minus any transfer budget at all. Super worried about promotion to the top league and still having no budget. I have about 14 months on a Real Sociedad save - he's a weapon off set pieces, will do great at replacing Payet in that aspect. Game-winning assist in the Copa against Atletico and about 5 direct free kicks despite never being first choice is nothing to be sniffed at. Yeah, he has done well in the first few games he has played. A lovely passer of the ball. I have a good few set piece takers in my team, Payet, Grenier and now Canales I know whoever I play can be a threat from a dead ball situation Damien Suarez is also 18 on corners so he is an option for them too. My only problem so far is my centre backs Rami and Abdo (Abdennour) are very slow and don't seem to be the best at reacting to balls into the box from the wings, it is like they both made a decision that the other will go for it so they just stand still and watch the balls go by them. I'm playing both as Defensive Centre Backs with Cover- changed from DCB- defend as when they were on the defend role they would venture too far forward and get hit on the long ball counter attack playing as cover has reduced that significantly as both drop deeper and both are decent headers they get majority away now. Abdo is also quite decent at creating counter attacks from these as he really puts his head through the ball. I play as control/attacking mentality so i'm not sure if that is causing any conflict with the covering style. That's cool, one of the weaknesses of most teams I pick seems to be the lack of set piece takers, for example at Lyon Fekir is the only one for 15 on both free kicks and corners, brought his goal tally down as he was the one getting all the assists off of set pieces. I've never played two on Cover together, but I had a very successful Manchester United tactic which was Attacking / Fluid and the back line was like this (l-r): Shaw (FB-A), Bailly (CD-St), LIndelof (CD-Co), Valencia (FB-Su) and the only reason we conceded most goals off crosses is because eventually you will concede off a counter, and Barcelona crossing it on the ground is still a cross. So no, your mentality shouldn't conflict - if anything I would imagine its the opposite and a defender on Cover on the lowest mentalities (Defensive / Contain) simply wouldn't be aggressive enough. Well I have enough aggression with Luiz Gustavo I'm only coming up to end of October and he has already been sent off 3 times. 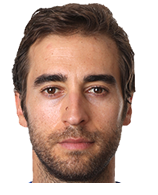 So much I'm strongly considering getting rid of him even though when he doesn't give away a foul he is doing a great job winning the ball back and getting the offense going. I think by default a Ball winning midfield has high aggression stats but if you know of any who don't then let me know. 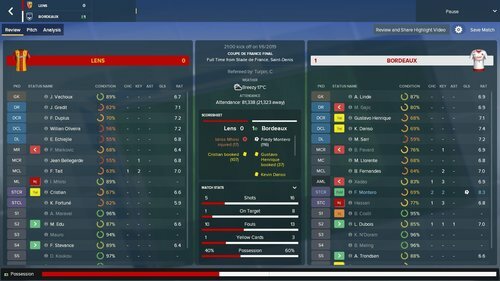 I don't know any of the mechanics, but in my previous save with Lyon where I was playing a box formation, Tousart as BWM picked up a ton of bookings as well, despite not exactly lacking support - the tactic was solid as hell, he wasn't making last ditch professional fouls. 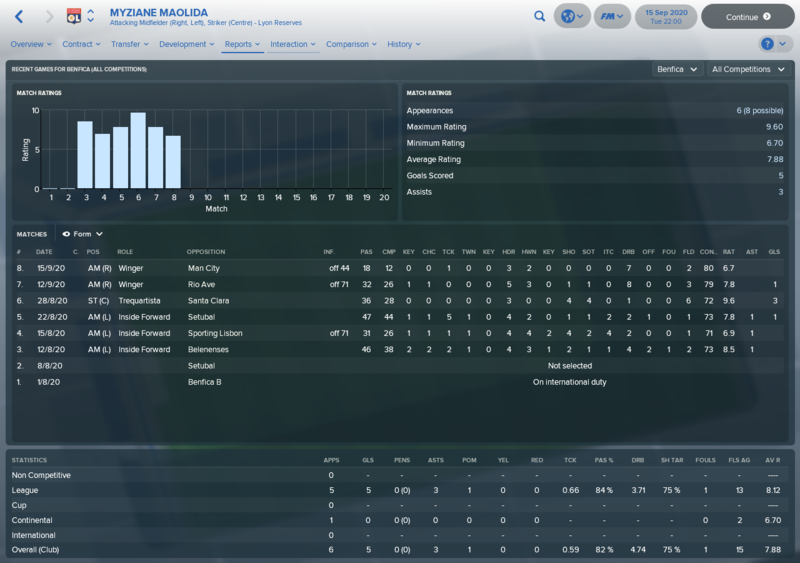 He developed really nicely for me, and by the third season, I had loaned him to a Ligue 1 club, where I think he scored 15 or 17 goals for the season. Could easily be a vrey good advanced forward or poacher for a good European club in my opinion. I would have had him in my starting XI had I played another season. Paid 850k fee (plus potential add-on for International Caps and Goals) . A major disappointment. Our fantastic 1st half of the season was not enough to carry us to a league title, falling short of PSG by 2 points. A horrendous two month stretch (mid Feb to mid April) completely ruined us, with 2 wins, 4 draws and 2 losses from the 8 league games played. We were unravelling anyway but to lose your best defender (Henrique - Torn Ab Muscle - 2 months), midfielder (Vada - Hip - 2 months) and forward (Malcom - Broken Toe - 6 wks) made it even worse. We recovered a little bit to win 5 out of our last 6 league games but we couldn't catch up to PSG, who won 11 straight before losing a meaningless game on final day. Kevin Danso (36%) won the fan vote for player of the year, over Malcom (31%) and Hassan (22%). 1 - Diego Rolan - 21(11) apps, 16 goals, 13 assists, 7.28 ave rating - Started the season as a depth option, didn't make my first XI over Hassan/Malcom, or my second XI over Laborde/Montero. But quickly proved he was more than that and took his chances with Malcom's injury problems and Laborde's form problems. Led the team for assists. 2 - Kevin Danso - 36(1) apps, 2 goals, 7.24 ave - I would say winning the fan vote is fair, as Danso was a big factor in conceding 16 less goals in the league compared to S1. Despite this, might have to settle for a rotation role in S3 as the quality of the squad improves. 3 - Malcom (but only in big games) - 28(7) apps, 20 goals, 8 assists, 7.17 ave - A really weird season. Was a liability against the teams we should beat, with Rolan/Montero/Hassan having to bail us out. But was superb against the big teams. 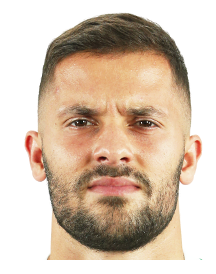 Scored vs Monaco (1H, 2A), Marseille (1A, 3H), Lyon (4A, 0H), PSG (2H, 0A - DNP Injured). That's 13 of his goals right there in 7 matches. Missed a bunch of games due to injury. 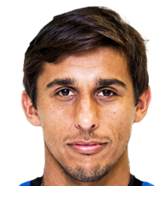 HM - Leo Debois - 13(3) apps, 1 goal, 8 assists, 7.16 ave - Did well enough from right back after signing in January. Racked up assists in a team that was impotent for a couple of months. Don't know what is more surprising: that 32yo Costil (who cost me points with fumbles and lost his starting spot to Linde) went for that much or that Tousart came in for that little (or that Lyon were willing to sell him to Bordeaux in the first place). Will take a break from this save to play some custom DBs I've seen around (a 95/96 save and a legends DB, also maybe a World Super League) and to get over the disappointing end to the season. @Evanescent How is that 3rd season coming along? The Costil sale is looking crazy! I have just taken over Bordeaux myself on my career save on December 8th 2019. They are in 13th place, and they have only won 3 of the last 10 matches. They still have Malcom, though, and they certainly should be performing better with the players at their disposal, so hopefully I can turn the tide. Still in pre-season, taking a break for now. Been playing a few other saves trying to find a good fit and have found a couple of interesting scenarios (95/96 database with Liverpool, a downloaded game in 2021 from the tycoon thread with Guimaraes) so might be a while before I get back to it. Decided to start a new save with Lille, I'm shocked by how poor some of their players are. Formation I'm trying to get them to play with is. It's work in progress. @bdixon good luck! Just a note - I've tried that formation before, the two midfielders don't tend to work well stacked on top of each other like that - I ended up dropping my AM into the DM slot and playing a Segundo Volante. Something to consider if you can't get it to work. @zlatanera cheers, oh the tactic is constantly evolving but season it going rather well so far. Currently sat in 5th beginning of Jan.
Do you get much money from winning the league? Thinking of starting a save. Are Lyon still a good team and if yes, are there any good cheapish players I should sign? That's cool, I'd be happy if someone actually got it working properly. I was going "full Bielsa" - Very Fluid, Attacking, Direct Passing which may have contributed to my struggles. I cannot remember for the life of me, hopefully someone else will see. Haven't used my Lyon save in a while. Yes. Read through the thread mate, its like 60% Lyon, I've posted about two different saves with them alone. Haven't been playing of late due to work and travel. A few big changes in the team. Mitroglou just couldn't settle and never really performed for me bar the odd game so he went off to Hull for I believe 8m but I'll check. As much as he is a club legend Mandanda has just been woeful for me his distribution and his general handling has been very sloppy and has cost me a lot of points this season (He will most likely be sold come the summer) so he has been dropped. 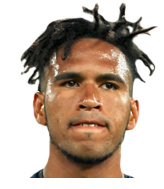 In goal I brought in Pedro Gallese from Veracruz. 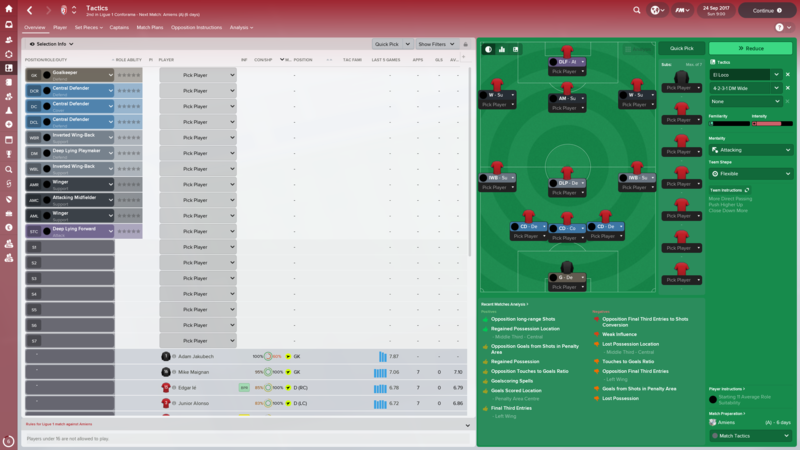 The Peruvian was highly rated by my scouts and only cost 2.9m (will check this as may have been 3.2). 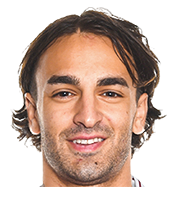 [ I was pondering Rajkovic but I had him before in a previous Newcastle save so wanted someone new] Pedro is a natural as a Sweeper Keeper- support which I believe will help the two cbs in front of him massively and from the first game he has played linked up brilliantly with them to cover and his distribution from both ball in hand and from the ground was key to a 3-0 win over Monaco. He plays mainly as a poacher (but is capable of advanced and complete forward) which I think will work brilliantly well with my deep line and him playing on the shoulder with his good pace 15 he should be able to latch on any through balls from my midfield and from Gallese's kicks. He'll of course be behind Valerie Germain who has been amazing and my main goal getter seriously the lad is phenomenal he has 25 goals already this season. Nothing like a late winner to bring your heart back into it! It looks like their deep runs in the domestic cups and CL are getting to them, and we've been able to capitalize (a recent 0-1 lost to OM not withstanding). It's going to be tight over the last 7 games. We're still alive in the Europa League with a good chance to play the final at home, but every game in Ligue 1 has been a battle as of late. Mariano and Fekir have put forward inconsistent results, and Memphis has been injured. Our midfield has picked up the slack thankfully, but who knows if that can sustain. You can hold PSG off!! Good luck! I holidayed the first season and I was looking through English, France and Holland leagues, Lyon caught my eye as they finished 6th (first time since 1997/98 season)m So I took over Lyon and get them back into Champions League. Currently in January 2019, sitting 2nd with 3 points behind PSG (no surprise) Just been knocked out in Coupe De la Ligue Quarter Final against Monaco, 3-2 away, we came back from 2-0 down until Falcao got late winner! 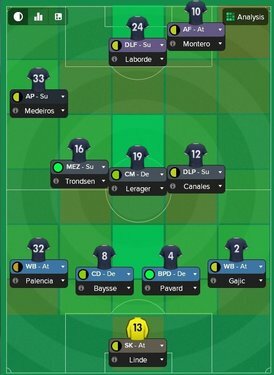 Europa League - Was drawn with Celta, FC Midtylland and Basaksehir, Won 5 out of 6 games (drew 1-1 with FC Midtylland) Our last match was against Basaksehir away, So i played mixed of fringe and youth players and won 4-1. Now we face Olympiacos, in First Knockout Round. 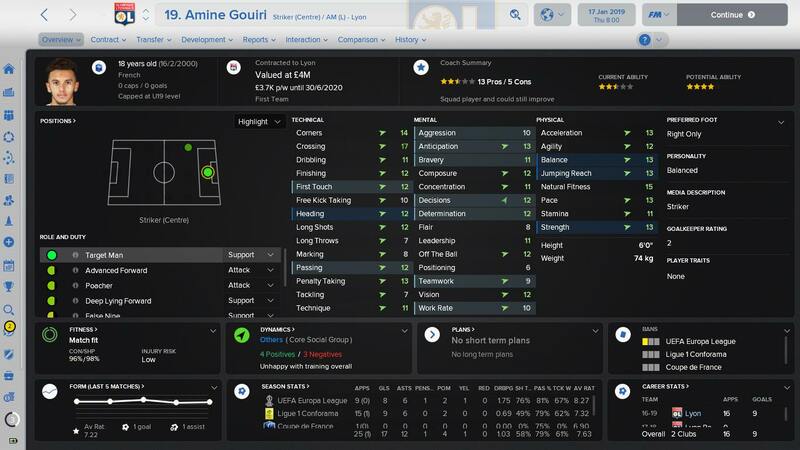 Mariano - assistant manager suggested his paying wages doesn't justify, so I sold him and promoted Gouiri. Fans kicked up when we sold him. 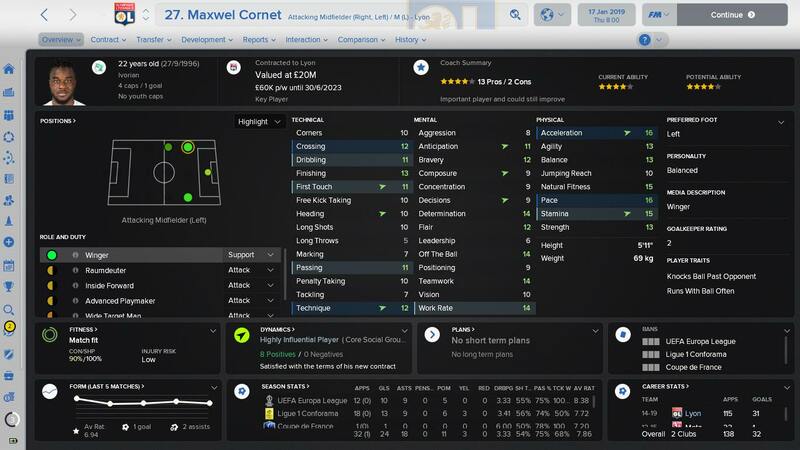 Special mention goes to Maxwell Cornet, who have been absolutely superb for me. from left winger Was chased by Ac Milan and his value rocketed to 20M. Houssem Aouar, was fantastic for us first part of the season, and now slightly going off the boil with few poor performance I am slightly tempted to sell Fekir, as he just came back from 8 months out with ACL, and build team around Aouar and Gouiri? Any advice? Or keep Fekir?